You're welcome to join the AliDropship Affiliate Program | AliExpress drop shipping forum – expert drop shipping community! We are happy to announce the launch of AliDropship Affiliate Program! Our affiliate program is a way for you to earn money for spreading the word about us. As an AliDropship affiliate you can make up to $284 on every purchase of our products made because of your recommendation. First, you sign up for a free account and get a special affiliate link that you can share. Then you promote AliDropship through your blog, social media posts or emails to your subscribers, clients or friends. 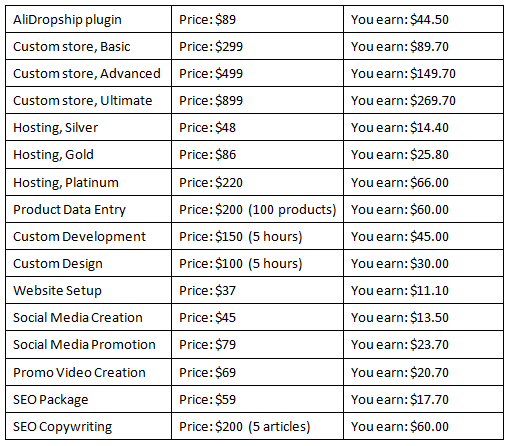 And if they use your link and purchase AliDropship products, you’re awarded a commission. Simple as that. Our affiliate program is completely free and anyone can sign up, whether you’re our client or not. Once registered, you can begin earning high commissions with minimal effort. Our affiliate program is simple, transparent, and best of all, free. Join today and start getting paid the easy way. We look forward to doing big things together! Hi wanna ask, If I buy the plugin through your affiliate marketing, can I still get the same support from Alidropship? Hi, of course you'll get the same support from us. Partners just recommend our products, and we handle everything else from downloads to customer queries. Since you're our customer, we'll do everything in our power to support and help you enjoy your profits with AliDropship products. I already join. Is there a facility to provide coupon discount for customer we bring in ? eg 10% which will be deducted automaticaaly from the commission or alidropship offer any overall discount voucher for signup for those that follow our referral link ? Hello! Please email us directly to affiliates@alidropship.com to discuss the details.